Why Should You Learn Music Theory? 3. Theory is too much over analyzing, which isn't to make great music. Just sit down and write how you feel! 4. Music theory is too hard. In order to understand it, I need to be incredibly intelligent, attend a university, etc..
5. Learning theory will take away from my playing time, and overall experience as a musician. Very simply, music theory is the study of how to express yourself with music. It is a set of guidelines and rules that are made to help us understand the different ways to express emotions with sound. 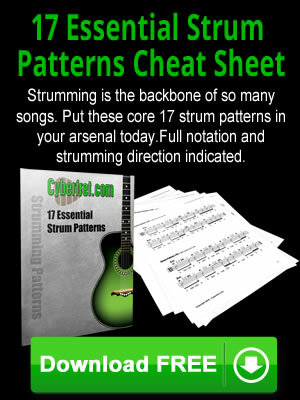 Learning music theory is essential for musicians, and certainly any truly great musicians or artists. Have you ever listened to a beautiful song and wondered: "How can I write music like that?" The answer my friend is music theory. Music theory is not just learning how to build chords, learn intervals, learn key signatures, etc. Every single concept in music theory is an idea or foundation for learning how to express your thoughts with sound and music. Some people say that music theory is not necessary because if you analyze too much, then you are not feeling the music on an emotional level.. Or, that not all musicians truly have to know music theory to make good music. Well, here is the truth: The more you know about music theory, the more you can accurately express your specific ideas, thoughts, and emotions with music. Imagine if you wanted to start exercising to build your muscles and become stronger. You wouldn't say this to yourself: "I am passionate about having big muscles and exercise! But, I don't need to know anything about nutrition, general health, weight lifting routines, etc. That will only stop me from getting stronger. All I need to do is go to the gym to lift weights when I am in the right mood, and I will get the results I want." Do you see how this doesn't make sense? After a while, all musicians, songwriters, or potential songwriters run into a mental block where they are lacking information they need in order to bring their ideas to life through music. By learning music theory, you can learn how the various sounds and rhythms of music are used to create emotion in the listener. By learning the processes and patterns that are used in music theory, you can avoid musical "writer's block." Not only will music theory help you when you are writing music, it will help you get better when you are improvising on guitar and you have to think quickly about what notes to play next. Learning why certain notes make you feel a certain way will help you to make quicker decisions in any musical situation. One of the problems that people have is that they think that music theory is too hard. Anything you are learning for the first time might seem more difficult, but as you keep learning a practicing, it becomes more easier. You don't need to be super smart to learn music theory, just like you don't need to be super smart to learn how to drive, how to read, how to play a game, etc. Learning music theory also depends on your own personal goals. What do you want to fo with music? : Learn how to write songs, be a great and expressive composer, play songs for fun, master techniques, play in a band, teach guitar, teach music, etc? Music theory will help you in any of these situations. However, if you plan on becoming a great musician or musical artist, then a great knowledge of music theory must be a huge priority for you! It is always a good idea to write down your personal goals with music. Write down why you want to follow these goals. What do you want to do with music? How will you will feel when you reach your goals? How would you would feel if you didn't reach your goals? Answering these questions will help motivate you to do whatever it takes to get to where you want to be with music. I recommend that you come back to these written goals form time to time to keep yourself focused. Your goals may also change over time, so it is important to keep track of this as well. There is one thing that is very important that many people do not realize when they are wondering whether or not they should learn music theory...Music theory is fun! Remember, you have a passion for music. It is only natural to feel excited and stimulated by learningnew things. Also, learning is and always will be "work" to some degree. However, it always takes hard work and effort to be great at something, and whether you enjoy that work or dislike that work is what will determine how far you get with it. Don't just do the given exercises that you read, and be done. Do any exercises, and then make your own exercises....do them until they are second nature! Enjoy the learning process, and do every single exercise while keeping your music goals in mind to help you stay motivated..
Understanding why your favorite musician used a certain chord in his or her song. Writing songs that are incredibly beautiful, catchy, happy, sad, and everything in between. Helping you get past writer's block; when you are stuck and you can't think of what to do next. Understanding what notes to use when you play a melody over a chord progression. So keeping all of these things in mind, what is stopping you from learning music theory right now? If you need to improve your music theory and composition knowledge, click here where we can begin working together today to help you express yourself better and become a more complete musician. Visit Ysrafel.com and sign up for Ysrafel's FREE Guitar Newsletter and receive useful tab lessons, advice, video, articles, and exclusive bonus gifts for subscribers only. 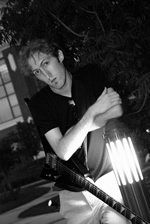 He is currently working on various musical projects including his upcoming guitar instrumental album which will be experimental progressive metal. To stay current with all of Ysrafel's events, visit his site at Ysrafel.com, and sign up for his free newsletter which contains very useful guitar playing information and advice to help you improve your guitar technique. This highly in-depth e-book is the first book in the Electric Guitar Technique Master Series, and will be an incredible guide for any guitarist who would like to learn how to sweep pick, or learn how to improve his or her sweep picking ability. This book will cover all topics in a detailed, yet easy to follow manner that begins from the very fundamental concepts of sweep picking, and builds up to advanced concepts as you read and progress through the book. If you are interested in learning how to improve your tapping technique or in learning more about the extensive possibilities tapping can offer your guitar playing, The Essential Tapping Resource is the one and only instructional guide for you! This e-book is the second addition to the Electric Guitar Technique Master Series, and contains all the information that any player will need in order to have a complete understanding of tapping technique (Detailed explanations, a full tab index, and audio files).